To say the Samsung Galaxy Note 3 is a point of interest is a huge understatement. This is one of the most talked about smartphones of the year, and rumors and leaks are gathering pace before its official introduction next month. Today we have some news for you regarding Galaxy Note 3 S Pen, video and music prospects. We have been informing readers of all of the news and leaks we’ve heard about the Galaxy Note 3 and although Samsung hasn’t confirmed anything about the device yet, we feel the tech world has a pretty good idea of what’s coming. Yesterday we heard that the likelihood of the Note 3 arriving with OIS (optical image stabilization) now seems to be very slim, and today we’ve heard further snippets about features and specs. While the schedule doesn’t mention exactly what the 50-minute session entails, it’s clear that changes are indeed coming to the stylus. Samsung enhanced the S Pen stylus for the Galaxy Note 2 over the original Note and the company has also registered a new domain that seems to tie in specifically to the S Pen, indicating a real marketing drive for this feature. On top of this Samsung recently invested in a 5% stake in Wacom, the company behind S Pen technology, so all the signs are promising. Whether the latest upgrades for the S Pen will also be available for the existing Note 2 is not yet known, but it’s certainly a possibility that would please many owners of the device. Moving on to video playback, it seems there’s a possibility that 4K video recording capabilities will be added to the Galaxy Note 3. A Korean newspaper report (Google Translated) citing industry sources says that the Note 3 will benefit from 4K UHD videos with a resolution of 3840 x 2160/8.3-meagpixels. At this stage we have no way of verifying the report, so for now we should treat this as unconfirmed rumors. As far as music is concerned, the same report also says that the Note 3 will have 24-bit/192kHz Hi-Fi music playback support. That’s an improvement over CD sound, and this is a move that would also go down well with potential buyers. 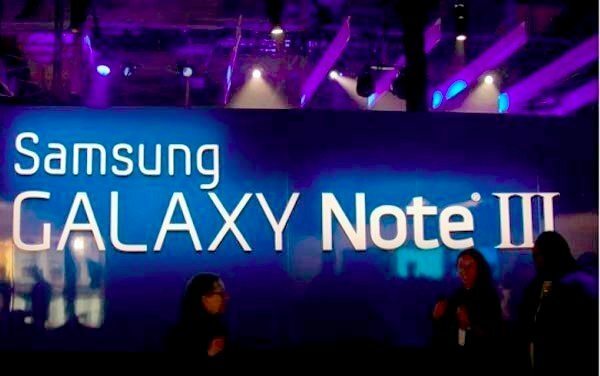 We will be following all of the developments of the Samsung event on September 4, where we should finally know everything there is to know about the Galaxy Note 3. What are your thoughts on these reported improvements coming to the Galaxy Note 3? Do you think these are all likely to come to fruition? What specs and features do you most want to see in the Samsung Galaxy Note 3? Let us know with your comments. As I have always said nothing will be better than the Galaxy Note 3 period.